Haunted Houses Are Here Now! Idaho Falls in October can be a fun time. Here at The Group Real Estate, we have been talking about the fun things to do this Halloween. As more and more houses are listed here in Idaho Falls, it helps the town grow and grow. With that growth comes a lot more attractive qualities around some of our favorite holidays. One of those holidays is Halloween. Now Halloween seems to be the forgotten holiday at times. Lately there has been an amazing movement where October, as a month, becomes a Holiday, much like December does for Christmas time. 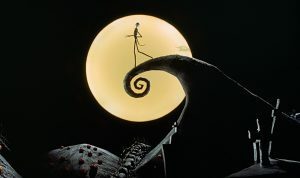 Heck, there is a movie dedicated to a character who gets bored with his time as the Pumpkin King, as the time of December is a full Holiday all on it’s own. Now we get Haunted houses through the entire month of October, people who love to do their movie reviews different and bring a fun haunting to it all, AMC (the TV channel) does a scary movie marathon throughout the entire month, bringing you true horror classics, gore fests, and cheesy B movie horror every single night throughout the entire month. One of the attractions to the full month of October being a Holiday all in it’s own, is going to haunted houses, going on haunted bus rides, going through corn mazes that have been transformed into scary corn mazes, and on the lighter side, going to pumpkin patches. Lets take a look see at some of the better Halloween Attractions here in East Idaho. Squealer Corn Maze is one of the more fun attractions here in South East Idaho. A small amusement area located in Rigby, Squealers offers a fun corn maze comes September and October time. Given the fun misdirection, haunted things and noises abiding there, with lots of wrong turns, this corn maze is a great start to your Halloween celebration as October starts out. 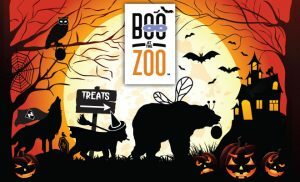 Boo at the Zoo is a wonderful place for the kids to go, having more than a thousand pumpkins, five hundred thousand lights flickering, tricks, treats, snakes and spiders, games and prizes. All these things are fun and make for a very fun, and exciting, Halloween environment for your children. There are also a number of trick-or-treat stations for you and your kids to enjoy, as well as a costume contest. Recommended for all ages. Dr Slaughter’s House of Terror. A haunted house that’s name sounds more horrifying than it actually is. The recommended age group on this one is actually 6 and up. However, if you are a wimp like me, you may talk yourself out of it before going in. 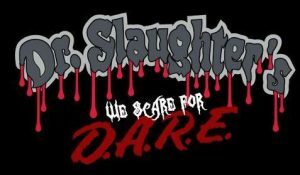 This is a non-profit haunted house, though, that helps local D.A.R.E. organizations in Bonneville County. Ranging from scary clowns to Predator with neon lights, the environment is both jumpy and a lot of fun. If you are truly looking for a prompt scare, that actually takes itself serious, check out the Haunted Mansions of Albion. I say this, as Ghost Adventures, the popular Travel Channel TV series, actually came through Albion to do a paranormal episode on this old, run down mansion. A place that is truly run by paranormal spirits and phantom visitations, going back to it’s roots from World War II as the college there was abandoned. There is a supernatural ring that gongs there, making it a very scary place to go, to feel the presence of the supernatural. Also, created to be a haunted mansion in the walk-about sense, there are actors there dressed and ready to scare you at every turn. Remember as you go about the Idaho Falls area, and close to it, there are so many different places to feel the fun, and fear, of October, of Halloween, of what makes the Fall a great time. The start of the Fall is a beautiful and crisp time here in Idaho Falls. One of the many reasons that houses are listed, that houses are bought, here in Idaho Falls is the Fall weather. 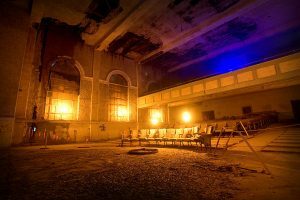 We have such a wonderful atmosphere and now that October has become a place where we celebrate the wonder of Halloween for the entire month, make sure that you check out one of these amazing haunted experiences top add the great feel of October.